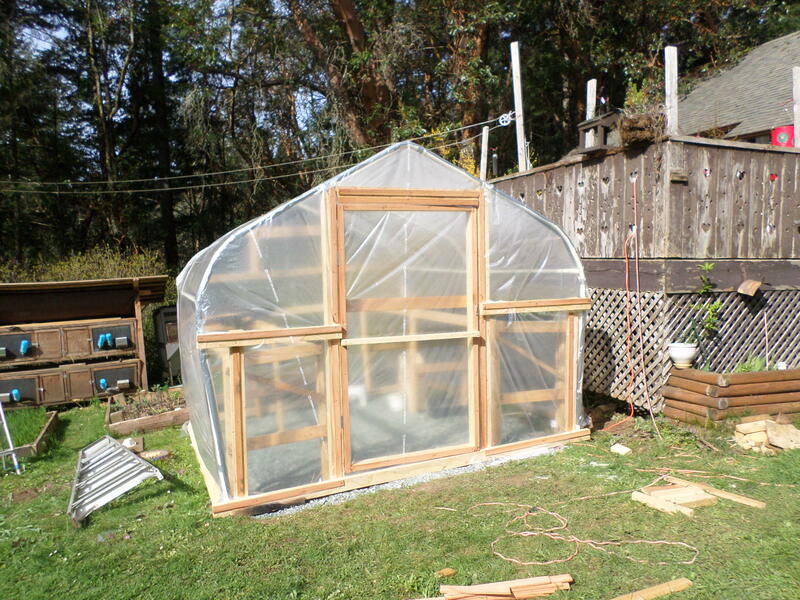 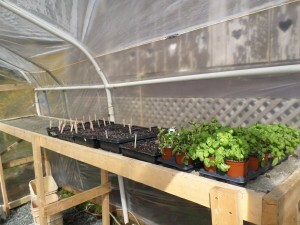 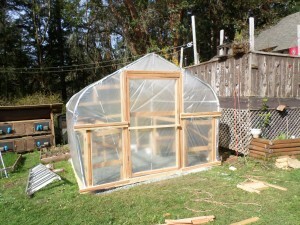 I’m excited about the addition to my garden… a new greenhouse with heated beds. 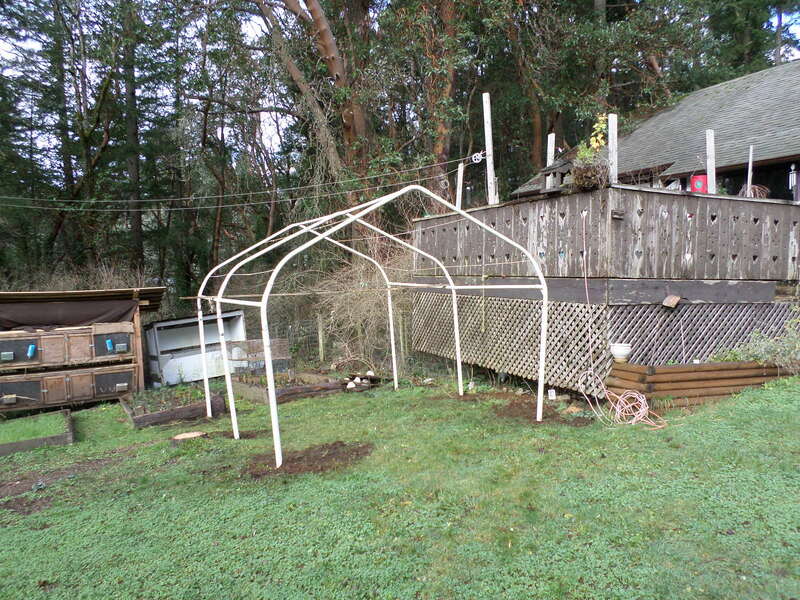 I used 2/3 of a portable garage frame which had been damaged in a windstorm. 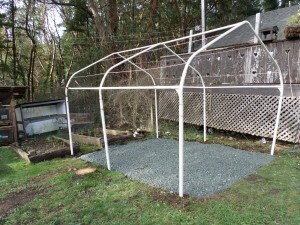 I dug the posts into our rocky ground. 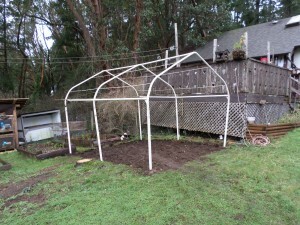 Next I dug out the grass. 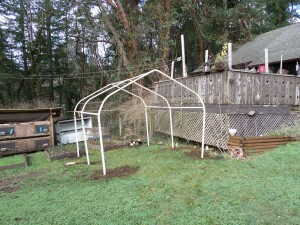 Framed in the ends, built benches and covered with plastic. Ta Da… I’ve got tomatoes seeded and some rescued Basil. 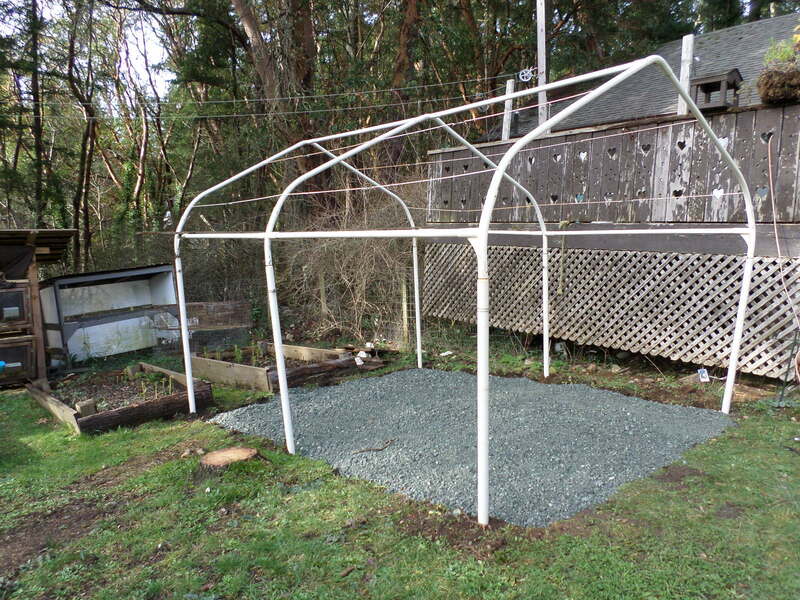 This makes it look easy, but it actually took me many many hours, I didn’t count and I wouldn’t want to!